This letter was written by one of the injured Manus asylum seekers and smuggled out of a Port Moresby hospital where he was sent for treatment. It gives an eyewitness account of the attack on 17 February. It has been slightly edited to protect identities. I am in Mike compound. For three weeks, our camp, as well as others, carried out peaceful protests…because there had been no processing of our refugee applications. [On the 16 February] Oscar camp began a demonstration following a meeting held with DIBP and the Camp authority with all nationalities. In that meeting we were told ‘the processing of your refugee application might take one, two years or more,’ and if you were accepted as a refugee at the end of this process you will be given to PNG. If PNG does not accept you, you will be handed over to United Nation to find a third country willing to make decision for you. After the meeting at 3pm all camps began protesting. The Oscar camp was the first one to be attacked. G4S guards armed with rocks, woods, chairs attacked the camps. Many of the guys were injured and badly hurt. On that day, 16 February, all the windows in Oscar camp was smashed and broken; the detainees [took refuge] in their rooms and tried to secure their doors to prevent further attacks by the G4S guards. On 17 February we had no protest or demonstration and in line with usual routine and expectations of G4S, we calmly queued for dinner at 5pm. We [waited] but dinner did not come at the usual time of 6pm. We all had [our]meals and many returned to their rooms. A few were walking about and some of us busy cleaning, as there was no kitchen or dinning room staff that night and the food was given in containers. [Around] 11pm, the power to the camp was suddenly shut down and immediately the entry to camp was opened and many people rushed in. In the dark many people shouted to G4S for ‘help’. However when they get near we began to recognise their faces and voices and they are the guards themselves! They were armed with wooden and metal poles, machetes and knives. They attacked everyone and the beating began. I was still in the dining room finishing the work when the G4S attacked us. We all frightened and confused about why G4S security are attacking us. Six G4S guard gathered around me with wooden poles and hit me. I fell to the ground and tried to cover my head and face with my hands to reduce the chance of injury to my head. I saw a Salvation Army worker among them. He kicked my face so hard that my nose broke and I began to bleed heavily. They then left me and moved into the rooms. They forced detainees out of their rooms and began to beat them. G4S guards began to throw some of detainees from the second floor down to the ground. 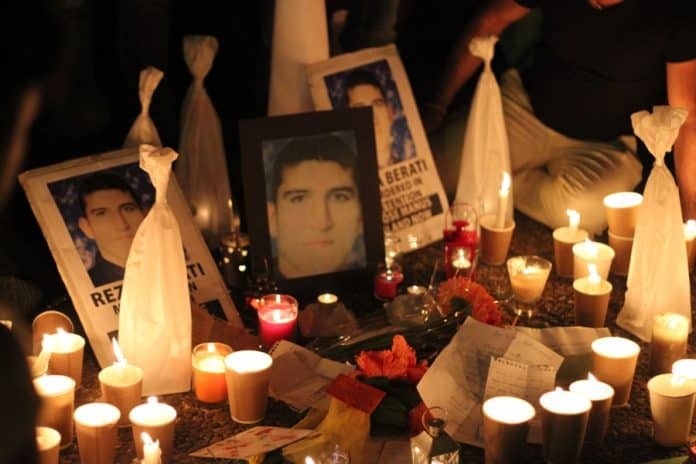 My dear Reza [Reza Barati – ed] was pulled out and they began beating him to death. I was taken to medical. After 30 minutes they moved us from medical to the soccer field nearby. It was there that I lost conscious for two hrs. [When] I opened my eyes, I was on the wharf next to the BB ship [the staff accommodation ship – ed]. There were about 50 others injured rolling in their blood near me. They were crying and moaning in pain. After six hours they returned us to the camp, and I saw that the hallway to my room covered with blood. [Other] detainees told me how G4S beat Reza with metal and wooden poles until he was dead. PNG police began shooting into the direction of crowd. [The detainees] were unarmed and already injured.